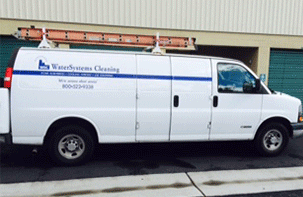 WaterSystems Cleaning (WSC) has delivered quality craftsmen at aggressive prices since 1986. Find out why customers continue to choose WaterSystems Cleaning. Contact us today for a competitive proposal. Over 5 years’ experience in servicing cooling towers and fume scrubbers throughout California. He has retrofitted over 40 cooling towers, cleaned over 400 cooling towers and over 200 fume scrubbers. He is confined space entry trained and certified, confined space rescue trained and certified, 40 HR HAZWOPER trained and certified, respiratory fit tested. Senior technicians have demonstrated a craftsmanship in maintaining industrial water using equipment. They are 40 Hr. HAZWOPER certified, Confined Space certified and Confined Space Rescue certified, as well as various other certifications.